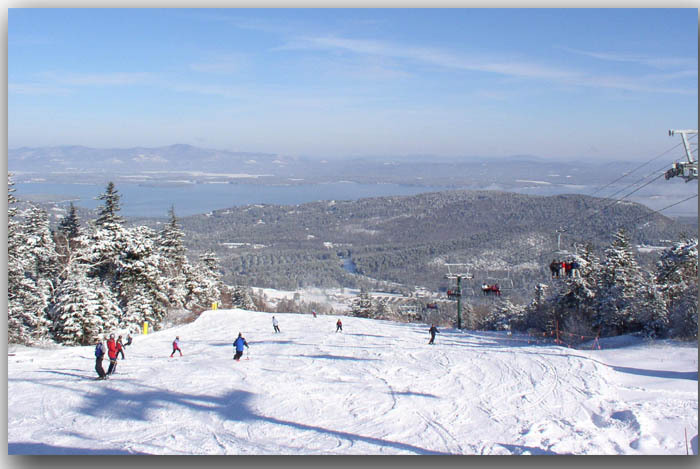 Following safe skiing tips while on the New Hampshire slopes will help make your day much more enjoyable. While skiing over the years, I have seen a number of ski and snowboard accidents. Skiing is a fun and thrilling sport. Many people hit the slopes after the first measurable snowfall or after getting new gear for the holidays. Each year, there are new skiers as well as daredevils on the slopes. 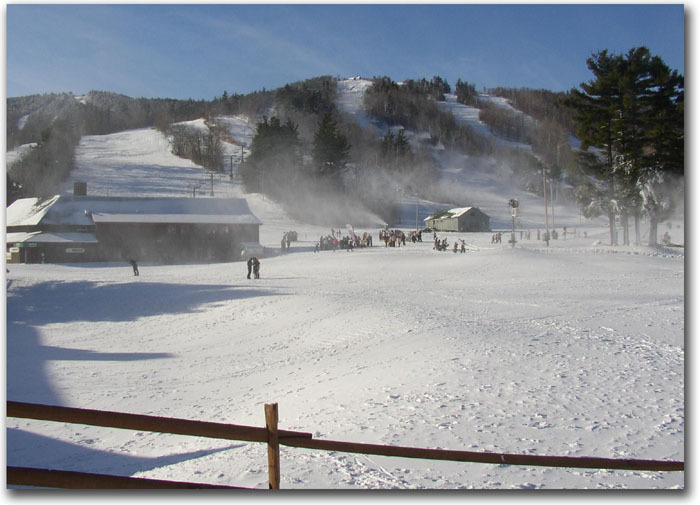 Whether you're new at this sport or a seasoned skier, there are many safety skiing tips to follow that will make sure you have a safe and fun ski season in New Hampshire. Exercise - Before the season starts, you'll want to get in shape. It's best to continually exercise throughout the year, but if you haven't then the fall is a good time to get started. You'll have more stamina and you won't have sore muscles the next day. Wear a helmet - Wearing a helmet is probably one of the most important safety skiing tips. Wearing protective head gear at all ages makes sense. Other sports, such as football, bicycling and horseback riding, wear helmets. Skiers should too. You should make it a requirement for kids to wear a helmet. Proper Ski Equipment - Always use equipment that fits your size and level of skiing. If you're a beginner, you certainly don't want race skis. If you're just trying skiing, then it's best to rent the right equipment. All ski resorts or sports shops will be able to fit you with the right level and size of equipment for your ability. Wear goggles - Goggles need to fit securely around your helmet. They protect your eyes from many hazards. If you like tree skiing, goggles keep branches away from the eyes. They're also good for protection from the sun and the glare of the snow. Plus, they help keep you warm. Prepare for the weather - It's good to wear layers of clothes to ward off the cold. As the temperatures warm up, you'll be able to take layers off as needed. When it's really cold, wear a helmet liner or a thin hat underneath your helmet. Make sure you wear waterproof gloves or mittens. It's also a good idea to have extras in case they get wet or you lose a glove while riding the lift. I always have extra gloves and other gear in my bag. Many of my daughter's friends ski with us, but don't bring the appropriate gear such as gloves or goggles. Another good idea is to have hand warmers. They are a life saver on really cold New Hampshire days. Buy a bunch at the beginning of the season, so you'll always have them. I've learned from experience, if you're skiing as a family and the little one's hands get cold, then you'll be sitting in the lodge warming up most of the day rather than "shooshing" down the trails. Ski with a buddy - One of the other safety skiing tips is to always ski with a friend. You can watch out for each other and have a great time, too. Take walkie-talkies or cell phones with you in case you get separated. Keep in mind, some mountains may not have cell phone service. Take a break - It's very important to rest throughout the day. The chairlift isn't the only place to rest. You should eat and drink plenty of water during your rest periods. Skiing uses up a lot of energy. If you're tired at the end of the day, don't try to get in another run or two to get your money's worth. Most accidents happen when people are tired. Quit while you're ahead and sit by a fire to relax instead of pushing yourself beyond the limit. Take ski lessons - It's a good idea to sign up for ski lessons if you're a beginner to intermediate. 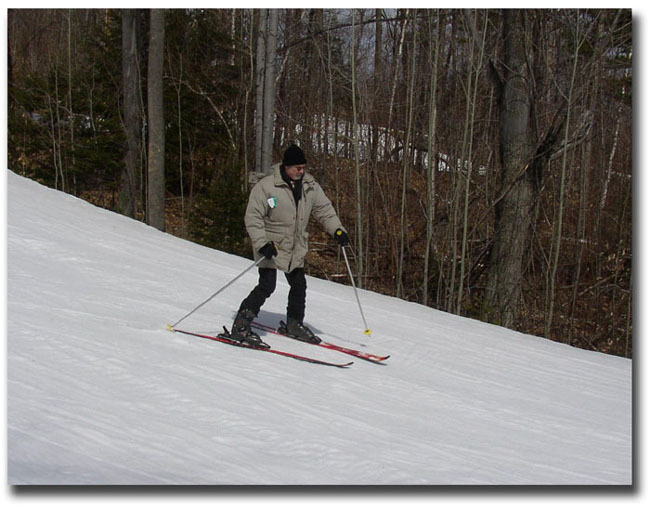 Even experienced skiers take lessons occasionally to brush up on their skills. You can always learn a little tidbit of information that will help with skiing. My husband has always skied moguls. Well, he decided to take a mogul lesson and learned a little technique that he never knew. Now, he's teaching our daughters that same technique. Know your skill level - It's best to ski the trails you're comfortable with. Don't ski above your level. Trails are marked with a green circle for easiest, blue square for intermediate and black diamond for difficult. Also, stay in control. If you find that you can't control your skis, then slow down and move to an easier trail. Follow the rules - Don't go off trail or on closed trails. Watch out for caution signs. Always give skiers in front of you the right of way. Follow the Skier's Responsibility code. Remember, early in the day is good for warm up skiing. Flex your muscles and test out the snow conditions. If you follow the above safety skiing tips, you will not only come out ahead, but have a fun day in New Hampshire to boot!